Two recent court decisions (one Canadian, one American) serve as useful reminders that binding contracts and assignments of rights can be created via exchanges of emails almost as easily as they can be created by “written” documents. In the entertainment industries, which sometimes exhibit fast-moving and casual interactions in which the intention of the parties to create binding contractual commitments is not always clear, it is worth being cognizant about the fact that email communications can bind you to a deal. As Mark Weisleder notes in the Toronto Star (Can You Sell Your Home by Email? ), a recent court decision in New Brunswick has held that a binding contract for the sale of real property (in this case a condominium) can be created via email exchange (it should be noted that leave to appeal has been granted by the Court of Appeal of New Brunswick). Students of Canadian copyright law might query whether these decisions are of relevance to Canadian copyright questions – doesn’t Section 13(4) of the Copyright Act (Canada) require transfers of copyright to be “in writing”? The Act states that “no assignment or grant is valid unless it is in writing signed by the owner of the right in respect of which the assignment or grant is made”. The question of relevance will be answered by reference to provincial/territorial legislation: in Ontario, for example, the Electronic Commerce Act stipulates that “a legal requirement that information or a document be in writing is satisfied by information or a document that is in electronic form if it is accessible so as to be usable for subsequent reference” (Section 5) and also clarifies that “a contract is not invalid or unenforceable by reason only of being in electronic form” (Section 19(3)). Exchanging emails is often useful because it can assist in providing a documentary record of discussions between the parties – but parties should be careful not to inadvertently create a binding contract (whether or not involving a transfer of copyright). Dear Rich: I’m trying to figure out whether to ask for a lump sum payment or royalties for a deal I am making. Is there some formula for figuring out what to ask for in terms of a lump sum? This can be a critical question for owners of rights who are granting intellectual property rights to others for exploitation by that other person (for example, the owner of rights in a graphic novel or screenplay who is being asked to grant an exclusive option or license to a film producer). As with many questions, the question of whether to ask for a lump sum up-front payment or royalties is best answered by challenging the premises underlying the question – in short, why not choose both? with a lump sum, up-front payment (i.e., payable upon signing the contract), you’re assured of actually receiving the money, since you generally would avoid signing without having the funds in hand (such as in the form of a certified cheque) – you also avoid having to worry about the expensive and stressful process of checking royalty statements, disputing them, auditing them, trying to get paid for discrepancies, etc. But describing this as an “either/or” proposition is a little too simplistic when it comes to the entertainment industries. 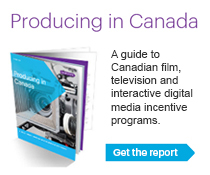 We can take guidance from the arrangements put in place by many of the creative guilds in the film and television industries: they generally require minimum payments up-front plus ongoing residuals entitlements (which, in the case of some Canadian guilds such as ACTRA, can be “pre-purchased” for limited periods of time by an increased up-front fee). The combination of upfront payments (sometimes in the form of recoupable advances) and an ongoing participation right in future revenues (though usually defined down to be something less than “gross”) is the norm in the entertainment industries, whether music, film/TV, publishing or videogames. In film/TV arrangements, grantors of rights should also aim to supplement their future participation in a project by building in quasi-participations in the form of things like box office bonuses (pre-set payments payable upon the achievement of a particular box office gross), budgeted fees (such as for performing “script consultant” services) and royalties (such as per-episode royalties payable as a result of the fact that the episode was produced, irrespective of commercial success) and agreements to engage (such as a commitment on the part of the producer to engage the grantor as the writer of a certain number of episodes for a television series). 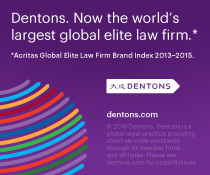 Ultimately, the answer to “how am I going to get paid?”, should be a complicated one: grantors of IP rights should be aiming to contractually enshrine multiple forms of revenue participation, so as to ensure both up-front payments and ongoing participations if their property achieves commercial success. With a hat tip to Mark Fowler, I thought it worth pointing to keepyourcopyrights.org (dubbed “a resource for creators”), a rich resource of sample clauses regarding grants of copyright rights, sample contracts from a variety of entertainment industries and general advice for contracts ranging from book publishing to photography (the site is based in the United States, so Canadian visitors to the site should be cautious about drawing any conclusions without speaking to a Canadian lawyer). One of the most interesting features of the site is its “critical review” of individual contract clauses, which includes a “thumbs up” (creator-friendly), “thumbs in the middle” (could be worse), “thumbs down” (creator-unfriendly) and “red claw of death” (incredibly overreaching). The site is a great resource for anyone who needs sample clauses or anyone who wants to think critically about the language they are being asked to sign or review.